How do I turn forums on or off for my Vimeo OTT project? How do I manage forum boards? What are threads and how do I manage them? How do I make a private board (only for customers/subscribers)? Think of forums as the water cooler of your site. 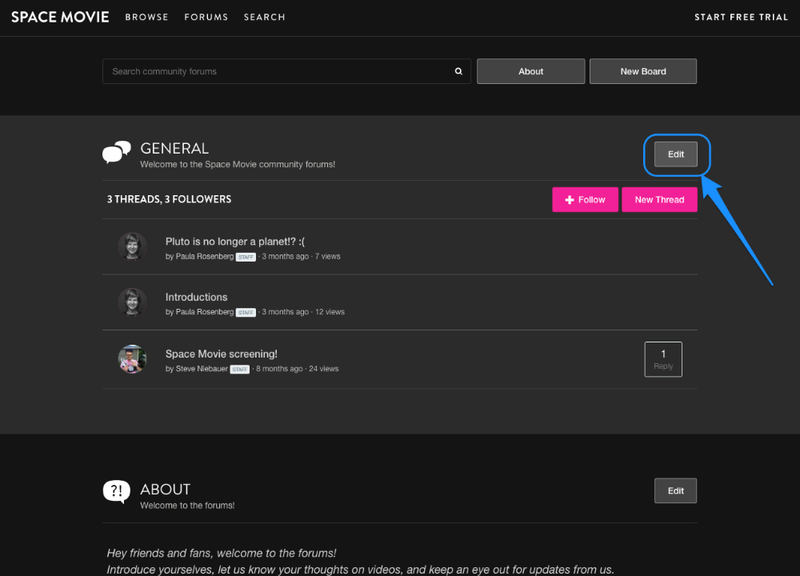 It’s a place for customers and fans to gather to discuss your content, related topics, and build a community around you and your work. Forums are available for all sites, but we find they are particularly successful for subscription networks or series. 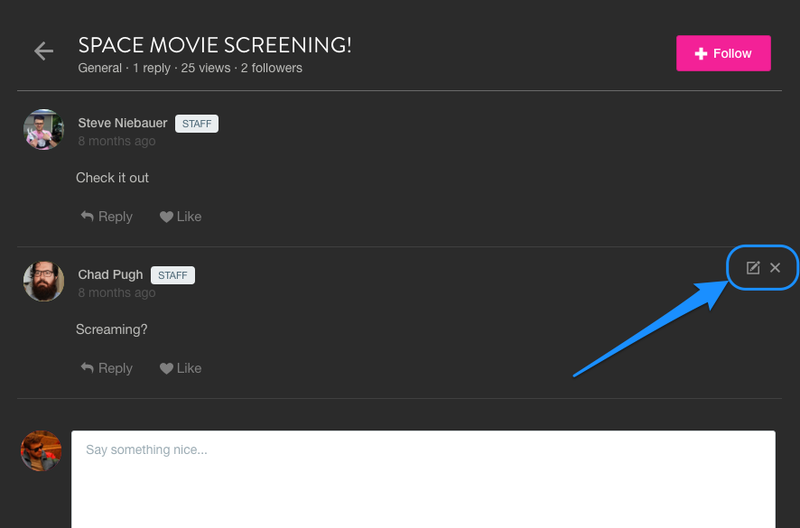 Scroll down to the bottom of the page to see the Forums toggle. Head to the forums main page on your site. When your forums are turned on, a default General board is auto-created. If you want to make any changes to that board’s description, just hit the Edit button next to it. 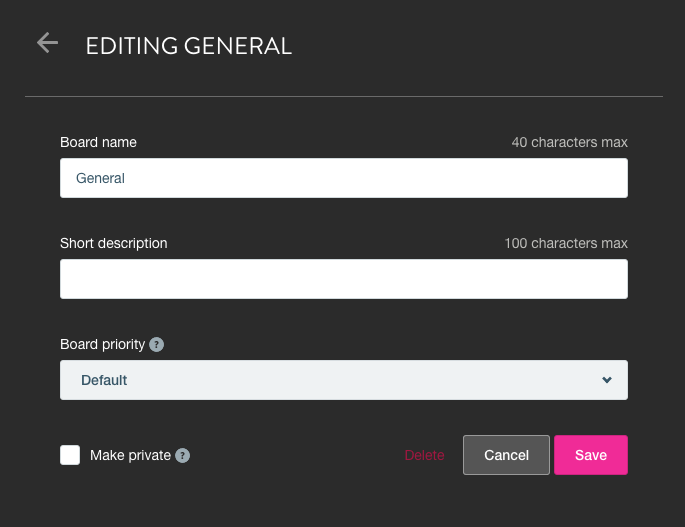 On the edit page, you will be able to change the board’s name, add a description, alter the board priority (order of display), and make the board private. NOTE: Making a board private means it will only be visible to your customers. People who stumble upon your site, will not be able to see or comment on your private boards unless they become a customer by buying/renting/subscribing. 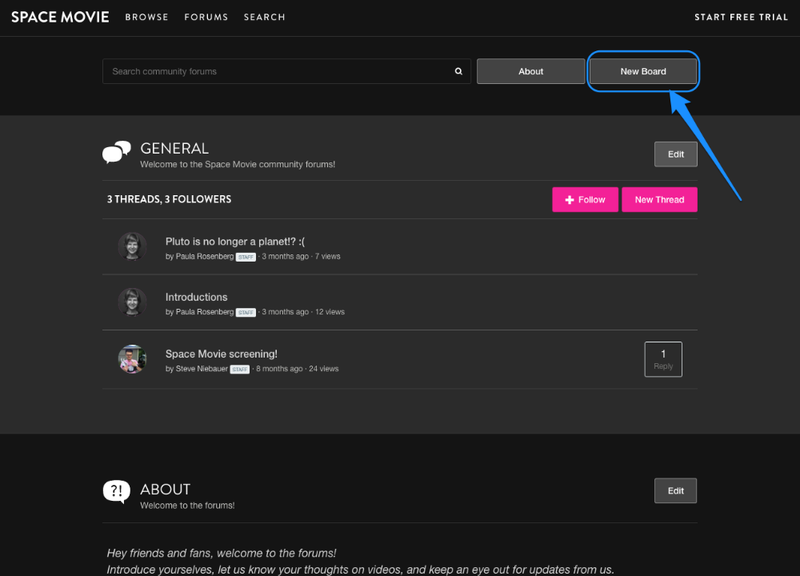 If you want to create additional boards for different topics, go to your main forums page and click the “ New Board” button at the top. A thread is a single topic of conversation within a board. You can start one by hitting the New Thread button. 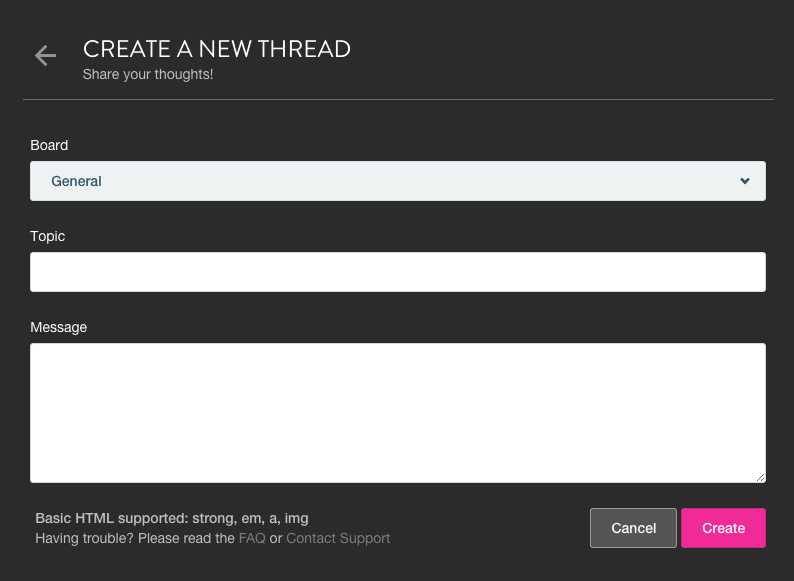 You will create a topic title for your thread and add your thread message. You can also choose which board it will post to. When you are ready to publish your thread, hit the Create button. HOW DO I REPLY OR COMMENT WITHIN A THREAD? Within a thread, you can reply directly to someone's comment, or you can leave a comment yourself. 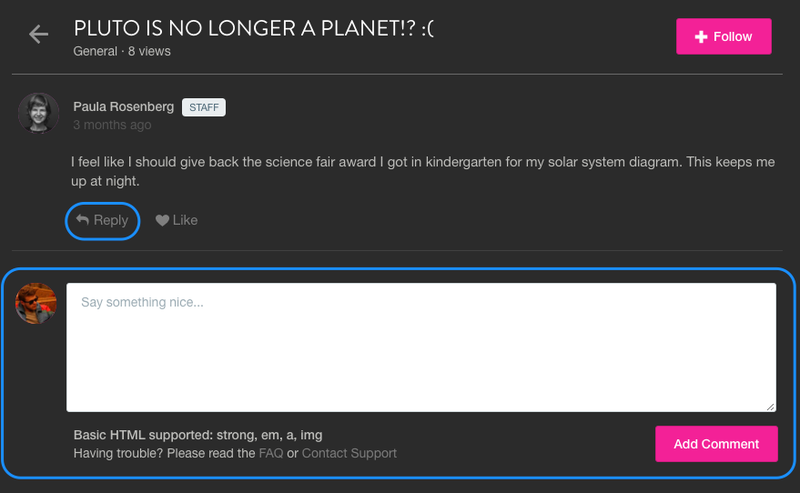 To reply to a question or comment left on your forum, click the Reply button underneath the comment or thread you want to respond to. After you type in your response, hit the Reply or Add Comment button to publish your response. HOW DO I LOCK, STICK, OR DELETE A THREAD? Stick - Sticking a thread "sticks" it to the top of the forum boards thread listing. Delete - Deleting removes the thread and all of it's comments. HOW DO I EDIT/DELETE A COMMENT? To edit or delete an individual comment within a thread, hover over the comment you wish to edit/delete, click the “X” icon to delete, or the edit icon to edit. HOW DO I CREATE A PRIVATE BOARD (ONLY FOR CUSTOMERS/SUBSCRIBERS)? 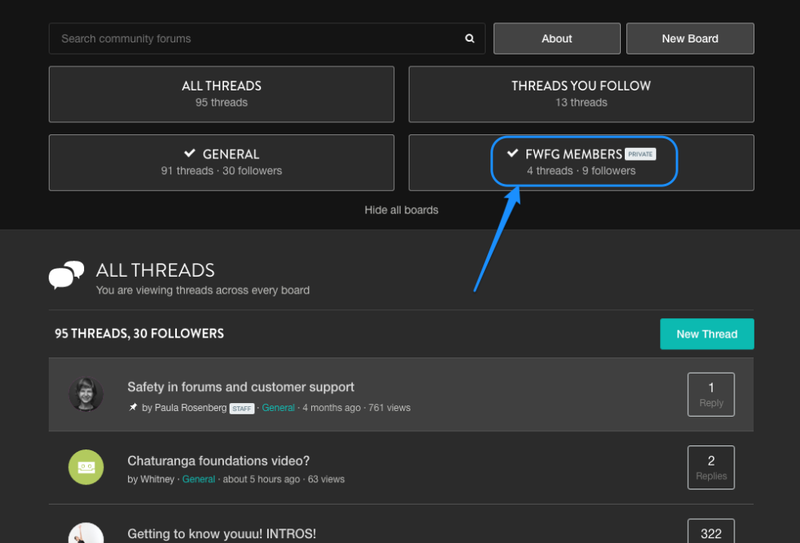 If you want a special private forum board only accessible by your customers (purchasers/renters/subscribers), you can easily do this! It's a great way to make your customer community feel special. On your main Forums page, click the New Board button. 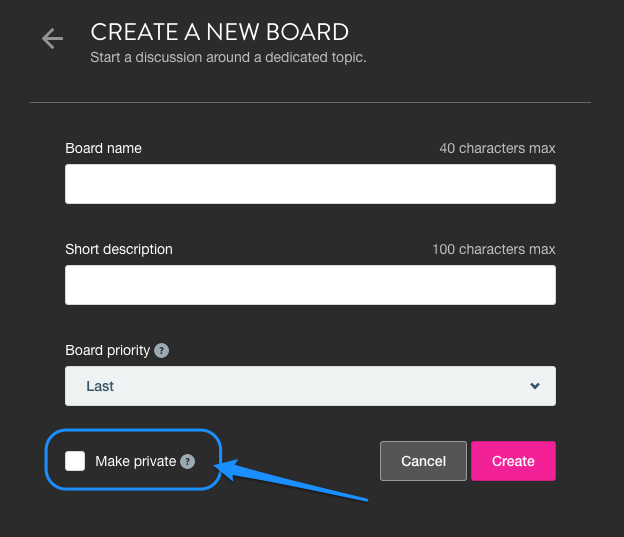 Enter the details of the board on the next page: name, description, priority, & check the Make Privatebox. This will make it only accessible to your customers! There will be a Private tag on the board. 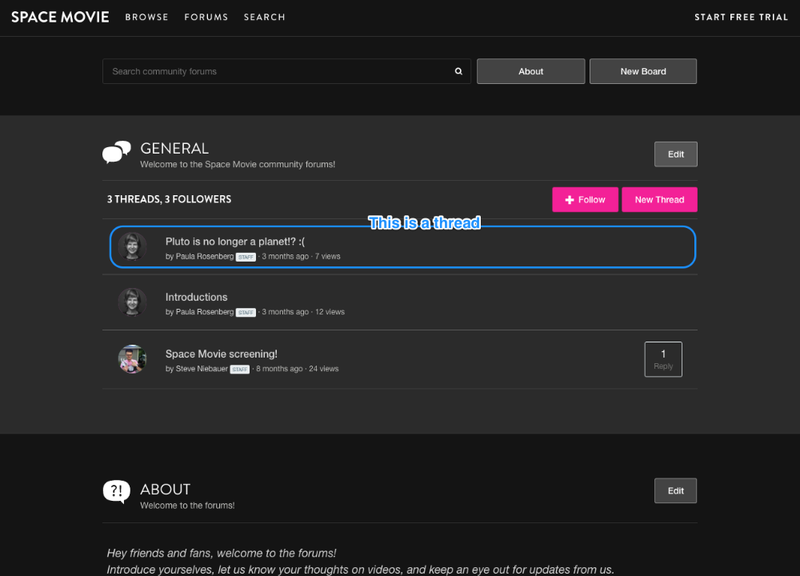 NOTE: you can also edit existing boards via the Edit button to make them private as well. CAN CUSTOMERS VIEW FORUMS IN THE VIEWING APPS? Sorry about this, but unfortunately not! Forums are only accessible on the web via a browser. WHAT ARE SOME FORUMS BEST PRACTICES? 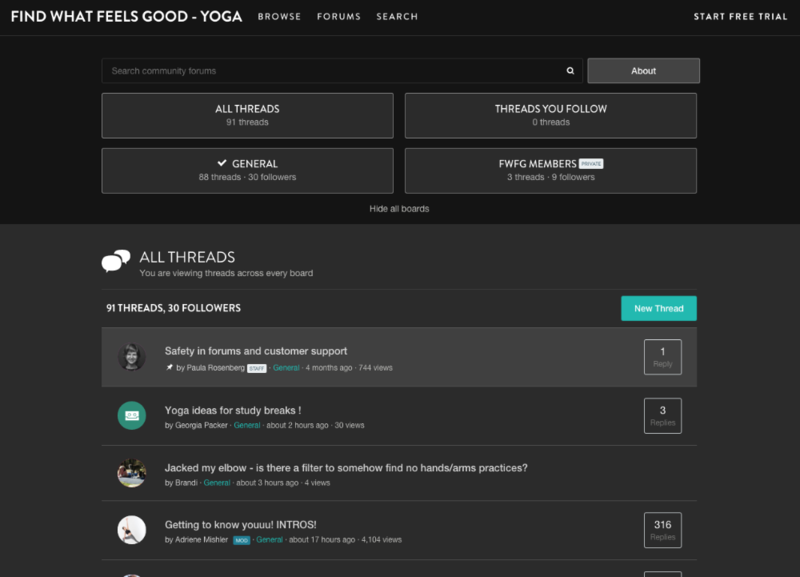 At first, you (as the seller) will be a lot more engaged in starting threads and engaging your community in conversation. Don’t wait for the community to find the forums. Start threads and reply to comments often! You may want to include a basic policy on your Forums page to outline your guidelines. This doesn’t have to be detailed. 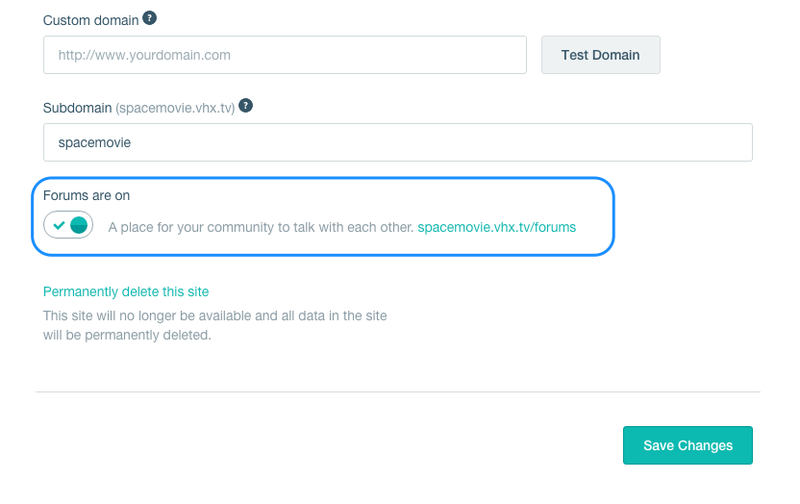 You can look at the Vimeo OTT community guidelines for inspiration here: http://help.vhx.tv/article/377-vhx-community-guidelines. 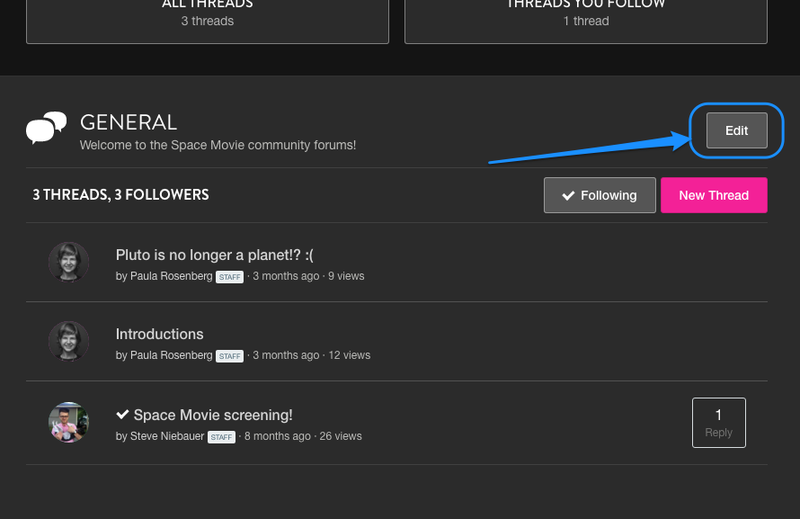 You can edit the default text of your community guidelines at the bottom of your forums page. Ask your community to follow the forums so they will receive updates when new threads are posted. Add a link to forums on your homepage in order to get your community to engage. 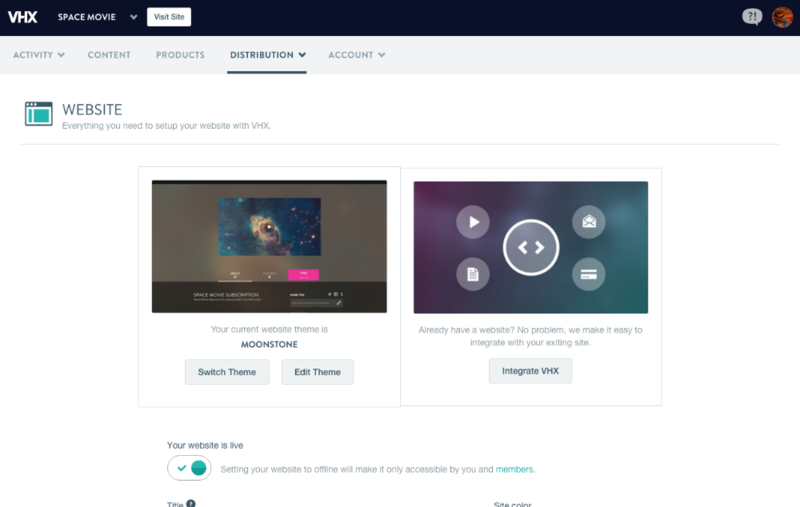 Note: we auto-include this link on some of our Vimeo OTT themes. Create boards to group threads around a broad topic together. You have the ability to make any board public or private. Public boards are a great way to get potential customers to view conversations around your content and want to get engaged with your project. Private boards give you the opportunity to offer exclusive members-only access to a discussion, making customers feel like true insiders. Announcements & events such as screenings, promotions, etc.